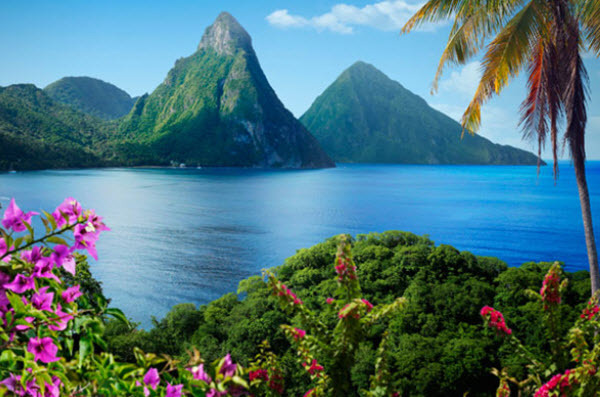 Saint Lucia has been designated an offshore financial centre by both the International Monetary Fund (IMF), the Financial Secrecy Index and the Organisation for Economic Co-operation and Development (OECD). It should be noted however that Saint Lucia has become less strict about their bank secrecy in recent years. At the time of writing, Saint Lucia have entered into over 45 tax sharing agreements and has taken steps to ratify international treaties relating to financial transparency. This increased compliance can have both benefits and downsides to investors utilizing Saint Lucia for offshore banking purposes, and it is important to take into account that this seems to be an ongoing process. At the time being, there is still no automatic information exchange between Saint Lucia and other jurisdictions. It’s record when it comes to actually working together with and complying with the wishes of foreign authorities remains spotty. 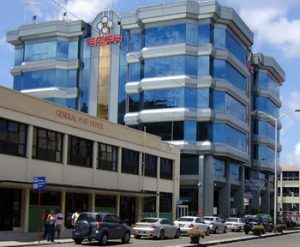 Saint Lucia is also still refraining from requiring country-by-country financial reporting from companies domiciled in Saint Lucia. In 1994, a representative of Saint Lucia signed the The Double Taxation Relief (CARICOM) Treaty 1994 at a CARICOM meeting on Barbados. At the same meeting, the representatives of six other CARICOM countries signed similar agreements. These six countries were Antigua & Barbuda, Belize, Grenada, Jamaica, St. Kitts & Nevis, St. Vincent & the Grenadines, and Trinidad & Tobago. The treaties cover issues concerning – among other things – taxes, tax jurisdiction, residence, capital gains, business profits, and dividends. The Caribbean Community (CARICOM) is an organization of fifteen Caribbean nations and dependencies whose main objective is to promote economic integration and cooperation among its members, to ensure that the benefits of integration are equitably shared, and to coordinate foreign policy. In 2014, Saint Lucia entered into a Model 1 agreement with the USA in relation of Foreign Account Tax Compliance Act (FATCA). FATCA is a 2010 United States federal law created to enforce the requirement for United States persons to file yearly reports on their non-U.S. financial accounts even if they live outside the USA. The receiver of these reports is the Financial Crimes Enforcement Network (FINCEN). FATCA requires all non-U.S. (foreign) financial institutions (FFIs) to search their records for data indicating U.S. person-status and to report the assets and identities of such persons to the U.S. Department of the Treasury. The United States Department of the Treasury has published model Intergovernmental Agreements. (These agreements are entered into by foreign governments and the Executive Branch of the United States government.) There are two approaches of these Intergovernmental Agreements: Model 1 and Model 2. Under Model 1, financial institutions in the partner country report information about U.S. accounts to the tax authority of the partner country, and that tax authority then provides the information to the United States. With both Model 1 and Model 2, the partner government agrees that all of its financial institutions shall comply with FATCA. Saint Lucia’s main sources of income is banana export, tourism and small-scale manufacturing. The banana industry is in decline due to competition from lower-cost banana producers in Latin America, and Saint Lucia’s government is currently encouraging farmers to diversify by planting alternative cash crops such as cocoa, mango and avocado. The government is also trying to encourage small computer-driven technology and financial services to broaden the nation’s economic base. Saint Lucia has managed to attract foreign businesses and investment, especially in the offshore banking industry and the tourism industry. Also, Hess Oil has made a major investment in the creation of a petroleum storage and transshipment terminal. The currency of Saint Lucia is the East Caribbean Dollar (XCD). This is a regional Caribbean currency shared by the members of the Eastern Caribbean Currency Union (ECU). The Eastern Caribbean Central Bank (ECCL) is responsible for issuing XCD, manage the monetary policy, and both regulate and supervise commercial banking activities in the member countries. In information situations, XCD is often denoted EC$. Saint Lucia (French: Sainte-Lucie) is a sovereign island nation in the eastern Caribbean Sea. Geographically, it is a part of the Lesser Antilles. The island was originally populated by the (Native American) Carib, who in 1660 signed a treaty with French authorities. England took control of the island in 1663, and until 1814, control of the island went back and forth between England and France. Saint Lucias’ legal system is still a mix between English-style common law and French-style civil law. The 1867 Civil Code of St. Lucia is based on the 1866 Quebec Civil Code. The official language is English, but Saint Lucian Creole French (Kwéyòl) is spoken by 95% of the population. In 1979, Saint Lucia became an independent state of the Commonwealth of Nations associated with the United Kingdom. The British monarch is still the monarch of Saint Lucia.